How to use iTunes M4P music in Microsoft Powerpoint Presentation ? How to use iTunes M4P in My Powerpoint Presentation? I have purchased a number of music files from Apple iTunes Music Store. 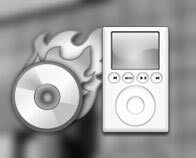 These are stored in iTunes and are "m4p" type.I have to insert these into a Power Point 2003 presentation and have not been able to do so; apparently Power Point 2003 does not handle this type of file. Is there a way to do this? You have purchased a lot of music files from iTunes online store, and want to use one of them as background music in your Powerpoint Presentation? You got the right place! Please read this simple guide to import the DRM protected M4P music file into your Powerpoint Presentation project. The music files you bought from iTunes online music store is protected by DRM. It is in the format of .m4p, you could not play the .m4p music file without iTunes, iPod, iPhone etc. It could NOT be played by Microsoft Powerpoint too. If you want to use the DRM protected .M4P music files in your Powerpoint presentation, you need to convert the protected m4p file to unprotected MP3 first, or you need to strip the DRM of the protected music file first. Microsoft PowerPointis a presentation program developed by Microsoft. It is part of the Microsoft Office system. Microsoft PowerPoint runs on Microsoft Windows and the Mac OS computer operating systems. It is widely used by business people, educators, students, and trainers and is among the most prevalent forms of persuasion technology. Beginning with Microsoft Office 2003, Microsoft revised branding to emphasize PowerPoint's identity as a component within the office suite. Microsoft began calling it Microsoft Office PowerPoint instead of merely Microsoft PowerPoint. The current version is Microsoft Office PowerPoint 2007. As a part of the Microsoft Office suite, PowerPoint has become the world's most widely used presentation program.